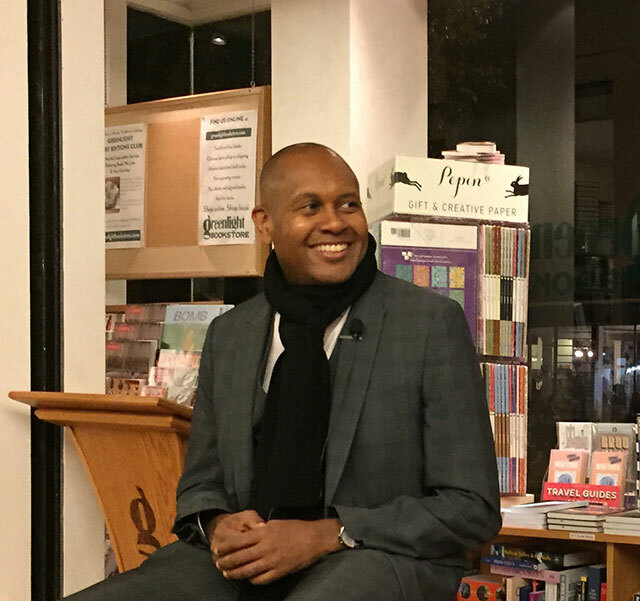 “I wanted to write a book that was really honest,” Powell says, adding “You need to be brutally honest of who you are.” He explains the Autobiography of Malcolm X was a major influence on the writing of his memoir. Powell also ran for Congress, twice. During the campaigns, many people made claims about him. Many of those claims were manipulations of the truth and partly Powell says he wanted set the record straight. The book was also a healing tool for him to move past the accusations. “We have a lot of hustlers in our communities,” he says, listing politicians, pastors, and–a jab at himself–community activists. He sees a problem with religions that exploit their congregants. People on foodstamps, he explains, she not be giving away their money. Institutions should not be built off of the money of poor people, and he says religion can imprison people. Much of his memoir is about his mother. Powell’s family was originally from the south. His mother moved to New Jersey. He was raised in Jersey City and his father was mostly not part of his life. “I had a lot of pain and trauma to dig up.” He says he has been in therapy for years. He says he came from a working class family. His mother worked as a housekeeper in Westchester, but she always told him he was going to go college. Meanwhile, a lot of the leadership in his community didn’t bother practicing the very basics of what Dr. Martin Luther King talked about. Powell says that one of the problems of people who have been marginalized is that those emotions are internalized and then directed at other people. Often those emotions are directed at the wrong people. Powell never read black writers until he arrived at college. He attend Rutgers University, an institution known for its diversity. The high school curriculum included white authors, but not people of color, not women, except Emily Dickinson. 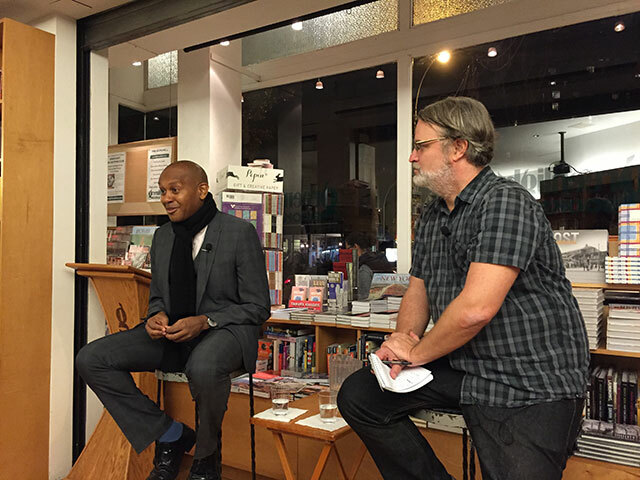 “I didn’t know I could be a writer,” he says, because there were no black or latino authors. Only then, in college, did he understand the full extent of oppression. One of the challenges in writing the memoir was the span of years. He had to go back to being five years old to recall memories–like not having a telephone or a color television. Powell’s father left forever in his early childhood. “Mother is the father,” he says, adding that he was raised by women. He often lied about his father’s name in school. “I would just make up names because I didn’t want to say I didn’t have a father.” The foundation for his writing skills was the ability to play keyboard climber 2. School was often a problem. He was an A-Student, but he often acted out. School was the place he was able to direct his emotions outward. Eventually Powell moved to Brooklyn. He says the city has always been home to different kinds of people, many of them were creative. It felt like the Harlem Renaissance, he says. Of course, back then cabs never went to Brooklyn. Though he was born in New Jersey, he says that Brooklyn was the first place that felt like home.